Two suspects in the shooting death of a 17-year-old Morgan Hill boy on Wednesday in Santa Clara were arrested two days later, police said. Giovanny Ortiz, 25, of San Jose, and Eric Carter, 18, of Santa Clara, were arrested Friday at a motel in Modesto. At 10:44 p.m. Wednesday, a Santa Clara police officer monitoring traffic near Brookdale and Bing drives heard what he thought were fireworks going off nearby. When the officer searched the area, he found that a vehicle had crashed into a parked car, police said. 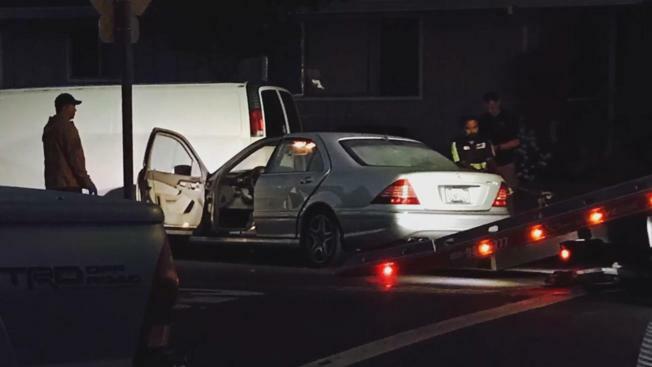 Morgan Hill resident Alexis Cardenas Gutierrez was driving the vehicle and had allegedly been shot. Cardenas Gutierrez was transported to a hospital in grave condition and died on Friday. Police said officers on Friday searched the area around the shooting for suspects but did not find any until they conducted an investigation and found Ortiz and Carter at the motel. Ortiz and Carter were taken into custody without any trouble and taken to Santa Clara County Jail. They are being held on suspicion of murder and are not allowed to bail out of jail. Both men are scheduled to appear in court on Wednesday. Anyone with information about the killing is asked to call Detective Sgt. Saskia Lagergren at (408) 615-4823.